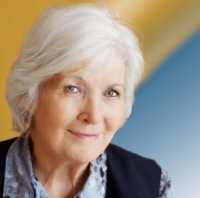 This article is courtesy of PRWeb and Dr. Elizabeth Landsverk with ElderConsult…..please share your comments below…..
One unchangeable fact of life is that people never stop changing, no matter how old they get. Aging brings a cascade of physical and emotional changes, which can lead to a variety of behavioral changes that can baffle or worry an older adult’s loved ones, according to Elizabeth Landsverk, MD, founder of ElderConsult Geriatric Medicine. As America’s population increasingly grays – the proportion of those 65 and over will account for 20% of U.S. residents within 25 years, according to the American Psychological Association – being aware of normal changes associated with age is even more paramount. What’s normal/not: Forgetting where you put your keys or the name of a movie star is common when you get older. So is occasionally having trouble finding the right word or forgetting why you walked into a room. But the specter of dementia is huge, with about 10% of all those over 65 and up to half of those 85 and older developing dementia. Symptoms might include varying degrees of memory loss, language difficulty, poor judgment, problems concentrating and impaired visual perception. Loss that affects daily functioning should be evaluated right away. What to do: If more signs of dementia become apparent, or there is concern that changes could affect one’s ability to handle finances; it’s important to see a primary care physician or geriatrician to rule out other causes that might be easily treatable. Diagnostic tools typically start with a complete physical and neurological exam, brain imaging, and cognitive assessment. The MOCA or the Montreal Cognitive Assessment tool is more sensitive to early changes in reasoning than the MMSE or Mini Mental Status Exam. However, that may not be sensitive enough. A normal screen may not mean “no decline in cognitive function” and neuropsychological testing may be needed for concerns with changes of judgement that put elders at risk of financial elder abuse. What’s normal/not: It’s often said that aging is largely about loss, as seniors often experience the deaths of a spouse, friends, siblings or other contemporaries. It’s understandable to suffer low periods following these losses, Dr. Landsverk says. But watch out for depression and anxiety, which are often overlooked and untreated in older Americans because they can coincide with other late-life problems, according to the American Psychological Association. Up to 20% of older adults in the U.S. have experienced depression, a persistent feeling of sadness that can include changes in sleep, appetite, energy level and other areas. Mood changes, apathy or anger may also signal early dementia. What to do: If you’re concerned, get your loved one evaluated by their physician. Many psychological interventions, including counseling and medication, are highly effective at treating depression, Dr. Landsverk says. “It’s important not to let someone’s low mood continue indefinitely without intervening,” she adds. “If you suspect there’s a problem, you’re often right.” Medications may not be the answer. First, is to include elders in daily activity; bring them to church or other religious services, keep them active and engaged. Avoid sleeping pills and “anti-anxiety pills such as Xanax and Ativan which can lead to more depression, falls and disinhibition. Withdrawal can look like worsening dementia, with confusion, agitation. What’s normal/not: Retirement and moving out of the family home are major life events that don’t just signal increasing freedom – they often stem from declining health, as minor, chronic conditions add up or major health problems get even worse. For some older adults, the development of a disabling illness can bring about a depressive episode, according to the National Alliance on Mental Illness (NAMI). Also, anger or aggression – which can show up as emotional or verbal abuse lashed out at loved ones – can be particularly difficult to handle, Dr. Landsverk says. What to do: “Talk about the normal feelings a senior might be having in response to their declining health – don’t sweep them under the rug,” she suggests. “Say, ‘It must be painful for you to have to adjust to this.’ Empathy goes a long way.” Consider seeing a doctor with the senior to evaluate troubling behavioral symptoms and consider a day program, or a daytime caregiver to give both the senior and their caregiver a break from the normal dynamic. What to do: If your loved one consistently seems unable to retain new information or place it in context with what they already knew, it could be normal aging or it could be a sign of oncoming dementia. A primary care physician may understand or a geriatrician can evaluate them with special tests of mental performance and suggest ways to increase alertness and cognitive engagement, she says. – Elizabeth Landsverk, MD, is founder of ElderConsult Geriatric Medicine, a house calls practice in the San Francisco Bay Area that addresses the challenging medical and behavioral issues often facing older patients and their families. Dr. Landsverk is board-certified in internal medicine, geriatric medicine and palliative care and is an adjunct clinical professor at Stanford University Medical School. The ancient practice of yoga is becoming increasingly popular among people of all ages, living across the world. Several people refer to yoga as a science of living, which can help cure several mental, physical and emotional problems. Some of the most common benefits that have been associated with yoga asanas or poses on a regular basis are weight loss, reduction in stress, increased immunity, additional strength, better balance, improved focus and many more. Hence, yoga can reduce the risks of suffering from heart problems, diabetes, and strokes, among other conditions, to a great extent. There are different yoga asanas that are suitable for people of all ages, right from children to senior citizens. There are several yoga studios that are offering special classes for the elderly people. However, due to time or financial constraints not a lot of people can take up such classes. Fortunately, it is possible to get a lot of information on the correct way to practice such poses, through various means. Certain online resources also have yoga asanas animation clips or videos, with detailed instruction on how to perform each pose. However, it is best to avoid practicing any yoga asanas after dinner, or after any meal, as it could lead to problems. Hence, a time gap of at least two hours should be maintained between dinner and yoga asanas. Elderly people are strongly advised to consult a doctor before taking up yoga. Please visit http://www.yogawiz.com for information about various yoga poses. – Tim is freelancer & love to write about natural remedies, diet & yoga. He has very deep interest to explore natural solutions for various diseases. Here’s a toughie. Remembering names. Hopeless? Probably. The real problem isn’t memory. It’s indifference. My husband has never been able to remember names. Never. But even at his age, if a good-looking woman is introduced to him, somehow he remembers her name. When you meet someone new, try saying the name in your mind several times. Start a brief conversation, “Nice to meet you Alice.” “Where is your hometown, Alice?” “How long have you been here, Alice? Try to make a snapshot of the person in your mind, emphasizing some feature that stands out. The system works. Sometimes. As a fallback, exchange calling cards, or write down the name as quickly as you can. Did I do it? Did I turn off the oven? Did I lock the door to the house? Did I put down the garage door? Make a list of important routines. Then say each out loud 2 or 3 times as you do it. “I’m turning off the oven” Check. “I’m taking my pills” Check.“ I shut the garage door when I left” Check.” I locked the front door.” Check. What am I suppose to do today? Every day there are things I need to do, people I need to call, chores I need to do, bills I need to pay, thank-you notes I must write. Lots of things. Make a list. Simple. But do it. My husband puts his billfold upright on his night table to remind himself of something that needs doing the next day. Just about anything out of place that focuses your attention will do. I like turning a shoe upside down, so that it reminds me of why I left it like that. It was a relief the other day when my 55 year daughter told me she forgot what she had in mind when she walked in to the laundry room carrying a bottle of Ketchup in her hand. She’s a law school professor, lectures in countries around the world, writes learned law review articles, and even she forgets from time to time. Somehow I find that comforting. All of us seniors joke about our loss of short term memory, but it’s very real and troubling to us. The real solution for most things is to write everything down, or dictate it to a tape recorder. Let’s say you meet someone new. In your small notebook, write their name, telephone number, number of children and grandchildren, birthday, anniversary—everything you can pick up about them. Write it down before you forget, which, if you don’t, means the info vanishes in the nanosecond after you stop visiting with them. Look at the notebook before meeting with them again. What a way to make new good friends. They’ll be astonished you remember, particularly when they’ve already forgotten everything about you. So there you have it. It’s not rocket science. It’s mostly common sense, really. The trick is just to try it. – Sunie Levin, author of Make New Friends… Live Longer, is a graduate of the University of Missouri and holds degrees in psychology and education. She has appeared on local and national T.V. and was a syndicated columnist for many newspapers. My husband laughed until he choked when I told him I was writing this article. I manage to lose something everyday, some days several things. The daily list includes glasses, purse, car keys and cell phone. I panic when they are gone. Did I leave them in a restaurant? At the beauty shop? At the doctor’s office. He patiently assures me they’re right here, at home, and he’s always right. So why am I writing this type of article? I’m 82 years old. My senior moments come too frequently. Some days my 85 year old husband has to supply the tip of my tongue with my missing word. “Where did I put the purple stuff?” He replies,”You mean the grape juice, and it’s on the counter, right there. Once not all that long ago I went to a lecture and put my purse and umbrella under the seat. When the lecture was over I went to my car, but couldn’t get in. The keys of course were in my purse. Panicking, I ran back and luckily they were still there, right where I left them. * Find a basket for everything you routinely use,. Keep it in the exact same place, and use it to put down your eyeglasses, house and car keys, cell phone, pill box. Once you’re firmly in the habit of going to that exact spot, you’ll always find what you are looking for. Hey, I trained my schnauzer. I can certainly train myself. * Losing your car in parking lot isn’t fun especially, if it rains. “Oh my gosh, somebody must have stolen it.” The simplest way is to look back twice, picking up a landmark so you’ll remember the row it’s in. Another way is to carry a small tape recorder or text a message where to find your car. In fact, use your tape recorder to remind yourself about anything you’re afraid you might forget. * Something on the tip of my tongue I can’t recall. Like the purple stuff, try reciting the alphabet and when you get to the right letter of the alphabet the word starts with, the answer usually pops to mind. * Put something down and can’t find it five minutes later? Focus! Pay attention! Take a second, and visualize in your mind a detailed picture. Say it out loud when you put it down. “I put my file with medical bills on the low bedroom dresser.” Then take a second to visualize the file. Just what could I have done with the file? Thrown it in the trash? Okay, maybe. Retrace everywhere you’ve been and visualize the file. You’ll find it. It will be there. Antibiotics are usually effective for treating bacterial infections, but due to the proliferation of antibiotic treatments, some types of bacteria are showing resistance to treatment. One of the bacteria that is causing concern is Methicillin Resistant Staphylococcus Aureus (MRSA). The Centers for Disease Control (CDC) defines MRSA as a type of staphlococcal (staph) bacteria that is resistant to certain antibiotics called beta-lactams. These antibiotics include methicillin and other common antibiotics such as oxacillin, penicillin, and amoxicillin. The proportion of healthcare-associated staphylococcal infections that are due to MRSA has been increasing: 2 percent of S. aureus infections in U.S. intensive-care units were MRSA in 1974; 22 percent in 1995; and 64 percent in 2004. “The symptoms of MRSA depend on where you’re infected. Most often, it causes mild infections on the skin, like sores or boils. What concerns health professionals is that while MRSA is serious it is not usually life threatening in younger, healthier patients, but it can cause more serious infections in wounds, the bloodstream, bones, the lungs, or the urinary tract in seniors and in immune compromised individuals,” according to Mardy Chizek, RN, FNP, BSN, MBA, AAS and president of Westmont, Illinois’ Charism Eldercare Services. Chizek notes that a study from Linköping University in Sweden indicates that the mortality rate can be 50 percent higher for intensive care patients infected with MRSA. This means added risk to seniors who may be compromised from other conditions or diseases. Patients may enter the hospital already carrying the MRSA organism (in fact, 30 percent of us carry staph bacteria in our noses). Many hospitals culture patients for MRSA when they enter the hospital in an attempt to be proactive with treatment. Serious staph infections are more common in people with a weakened immune system. A weakened immune system may be due to drugs, surgery or therapies or may be due to aging. As our body ages, it is less able to fight infections as vigorously as when we were younger. Diseases like cancer, lung disease, heart disease and immune related conditions also increase the risk of an adverse outcome due to MRSA. The CDC notes that most MRSA infections are skin infections that may appear as pustules or boils which often are red, swollen, painful, or have pus or other drainage. They often first look like spider bites or bumps that are red, swollen, and painful. These skin infections commonly occur at sites of visible skin trauma, such as cuts and abrasions, and areas of the body covered by hair (e.g., back of neck, groin, buttock, armpit, beard area of men). The infection may also be accompanied by fever, swollen and red areas, and may be seen around surgical wounds or invasive devices, like catheters or feeding tubes. Infections in hospitals and other healthcare facilities are not always preventable. Patients and visitors bring their own body’s normal bacteria to the institution. Other patients have infections that bring them to the hospital and they require intensive antibiotic treatment. Is it any wonder that MRSA and other infections are always in healthcare facilities? The best way to protect yourself is a good hand washing. The type of soap and temperature of the water are less important than the friction. A fun rule of thumb is to wash your hands to the tune of Yankee Doodle. When you are done with the song, your hands have received an adequate scrub. Alcohol solutions are equally effective, but must cover the entire surface of the hand like hand washing. You never completely rid your hands of organisms, but you decrease the number of organisms to a point where the number of bacteria or virus are minimized and less able to spread infection. For more information on MRSA or infections in seniors, visit Charism Eldercare Services at www.charism.net. Sudden deafness is a medical emergency that may be either totally or partially reversible if treated in time. See an otolaryngologist, audiologist or your family physician right away. The most common way to address hearing loss is use of a hearing aid. Hearing aids are electronic, battery-run devices that make sounds louder. There are many “hearing aid stores”, so it is best to see an audiologist, a professional who has expertise in hearing, hearing loss and hearing aids. The quality of hearing aid devises vary by manufacturer, so consult with an audiologist to help select a hearing aid that addresses the hearing loss and enhances acceptance of the device. A hearing aid is not a panacea for hearing loss. Many hearing aids are lying in drawers rather than sitting in ears to assist with hearing. A hearing aid takes time to get used to. The hearing aid amplifies all sounds and the loudness and sounds may be overwhelming to the senior who has had gradual hearing loss. 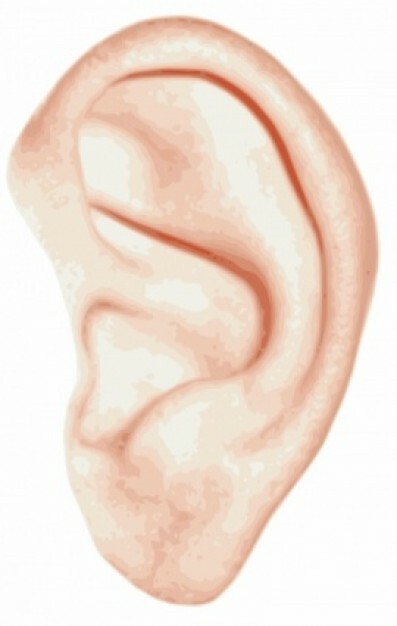 The ear mold may not fit properly and may need to be modified. The hearing aid is an electronic device and may need to be readjusted. Do not give up. Often a gradual process of getting accustomed to the new tool improves the success. Worsening hearing can often be attributed to a hearing aid malfunction. The malfunction may be as simple as deterioration of the plastic tube leading from the ear mold to the hearing aid. Hearing aid batteries need to be replaced and a dead battery can be the culprit. Disengaging the battery from the hearing aid device when not in use will prolong the life of the battery. Hearing loss is more than an inconvenience. 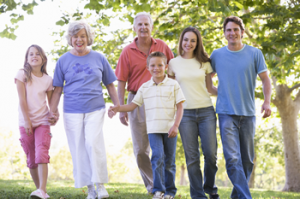 There are many reasons for the senior and their family to work on options to improve hearing. There also are assistive devices, which are products that can help you hear better, such as telephone amplifying devices, or TV and radio listening systems that can let you hear the TV or radio without being bothered by background noise or needing to turn up the volume. An Internet search can help you find a distributor in your area. Other handy devices that can help make the senior’s life easier and safer are vibrating alarm clocks and door bells that light as well as sound. Finally, with a diagnosis from a healthcare or audio professional, a cochlear implant may be prescribed. A part of these electronic devices are surgically implanted under the skin. Most senior hearing loss cannot be improved with cochlear transplants, but a professional can tell you whether you are a candidate for the procedure. Hearing loss is more than an inconvenience. There are many reasons for the senior and their family to work on options to improve hearing. 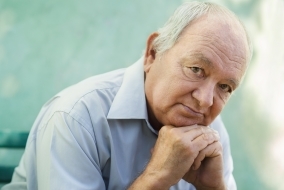 The social isolation caused by hearing loss should not be minimized. The hearing aids available today are smaller and more powerful and the stigma of wearing a hearing assistive device is less profound. If you suspect a loved one’s hearing is compromised, get it checked out as soon as possible. Mardy Chizek, RN, FNP, BSN, MBA, AAS is the president of Westmont’s Charism Elder Care Services. For more information on depression and dementia visit Charism Eldercare Services at www.charism.net. Although it can be frustrating for seniors and for their families when conversations are impaired by hearing loss, hearing loss can signal more serious problems. According to a study published online in the Journal of the American Medical Association, hearing-impaired seniors were also 36 percent more likely to have prolonged stretches (more than 10 days) of illness or injury and 57 percent more likely to have extended episodes (more than 10 days) of stress, depression or mood disorders. Hearing loss affects as many as 27 million Americans over age 50, including two-thirds of men and women aged 70 years and older. It can contribute to falls, traffic accidents, social isolation, being taken advantage of, and depression. In the study, researchers analyzed data from more than 1,100 American men and women aged 70 and older with hearing loss, and found that over a four-year period they were 32 percent more likely to have been admitted to the hospital than more than 500 adults with normal hearing. Caregivers and families should recognize that hearing loss should not be considered an inconvenient part of the aging process, but rather a health issue that deserves intervention. Hearing loss in itself may not lead to serious health conditions, but it can be associated with other unrelated problems as noted above. Presbycusis (loss of hearing due to aging) is the most common type of hearing loss in seniors. It comes on gradually as a person ages and often the senior does not recognize the loss. High pitched sounds are the most prevalent loss. It occurs in both ears, but not necessarily at the same rate or significance. The hearing difficulty is often noted when a senior is in a group setting or in noisy settings. Work life environmental exposures contribute to presbycusis. Exposures from guns, power tools, loud music and industrial machinery have a major impact on loss of hearing in later life. There is a family connection in about half of the cases. About one third of people between 65 and 75 and half of those over 75 have hearing loss related to aging. Presbycusis (loss of hearing due to aging) is the most common type of hearing loss in seniors. Another ear-related condition seen in young and old is tinnitus. It is commonly called “ringing in the ears.” While it is called ringing, it may manifest as a hissing sound, a motor running, roaring, pulsing, clicking or buzzing. It may be consistent or vary in intensity. While tinnitus is bothersome, it is treatable and not life threatening. It may or may not be connected to hearing loss. It can be a symptom of other medical conditions or medication. New onset should be reported to your doctor or healthcare provider immediately. Ear wax in the external ear canal or fluid build-up in the inner ear may also block sounds causing hearing loss. Do not put anything into your ear until you know what the problem is. After assessment, if ear wax is the problem, the healthcare practitioner may recommend products that soften the wax for easier removal. 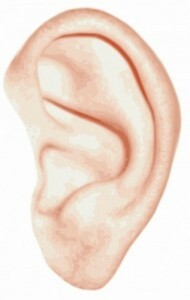 Hearing aids may actually worsen an ear wax problem so have the ear checked routinely. When senior citizens go without sufficient exercise, they often lose motor skills, muscles power and their independence. The older you get, the more intimidating workouts may appear to be. However, since exercise science experts have been increasingly crafting fitness programs specifically for the senior population, older adults have no reason to fear fitness activity. Fitness and recreation centers are offering unique offerings, such as Zumba for seniors and martial arts programs uniquely tailored for senior fitness needs. 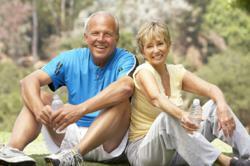 Here are 10 fun options to keep people in their golden years healthy and in shape. A mind-body activity designed to increase flexibility and provide resistance training, Pilates can help seniors correct their posture, improve breathing and become stronger. Some seniors even report that they’ve gained a few inches in height by learning to lengthen their bodies and extend their skeletal frame while using a Pilates bench. While laying on the bench, seniors can push against the machine to strengthen legs, arms and core stomach muscles. Pilates is so low-impact and is safe enough to do four to five times a week. Using deep breathing and languid motion, Tai Chi can reportedly help seniors boost lung capacity, lower risk of Alzheimer’s disease and normalize blood pressure. It can also improve psychological mood, staving off depression. The ancient Chinese exercise uses visualization, meditation and body mechanics to harness and direct energy. 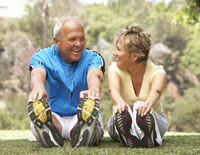 Seniors can increase their balance and lower body strength. Using lightweight graphite clubs, senior citizens with limited power and range of motion can still enjoy a day on the green. A once-a-week golf date may help seniors burn a significant number of calories (over 700 for a typical 9-hole course) and fight heart disease. Bicycling can strengthen knees, increase leg strength and improve the heart rate for seniors. While some seniors do indeed cycle outdoors, the best option is to use a level indoor track or a stationary bicycle. Seniors who’ve been active for years can cycle 30 minutes a day. Those who are newly active should aim for 10 minutes on a stationary bike three days a week. If pedaling forward is too overwhelming, experts recommend that novice seniors began with backward cycling. Seniors can hit the pool or the ocean to explore the health benefits of swimming. In addition to strengthening the heart, swimming can help seniors improve their breathing and recover or retain lean leg and arm muscles. To avoid overexertion, seniors should limit themselves to simple strokes, such as the breaststroke, and swim slowly for no more than 30 minutes a session. This can be done two or three times a week. Featuring dance-based aerobics set to Latin merengue or salsa music, Zumba is often taught at a slowed-down pace for seniors, catering to growing masses of grandmas and grandpas who want to sway hips and move to a sensual dance beat. While the physical movements boosts the heart rate, remembering the steps and routines helps with memory, doctors say. Try this on weekends, either at a fitness gym or a supper club with a dance floor. Yoga is beneficial for senior psyches and bodies due to its focus on stress-relieving postures and movements, such as the Corpse Pose, which is the ultimate in relaxation and involves lying supine on the floor. Other poses involve standing on one leg for balance and stretching outward pr skyward in order to improve agility. Yoga can be enjoyed by seniors three to five times weekly. Seniors can gain a multitude of benefits from sauntering around the block or shopping center two to three times a week for 45 minutes per walking session. Studies show that walking can help older people keep their mobility, fight diabetes, reduce blood pressure and fight osteoporosis by fortifying bones. 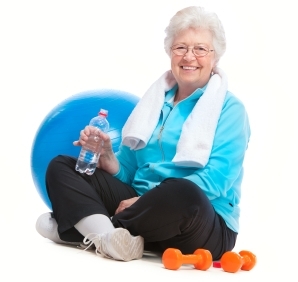 In addition to aerobic activity, seniors also need to strengthen muscles so that they can continue to open doors, carry groceries, do household chores and maintain their ability to be free and independent.. The typical way to build strength is to use resistance bands, resistance machines with adjustable levels of difficulty or free weights, ranging from five to 10 pounds. 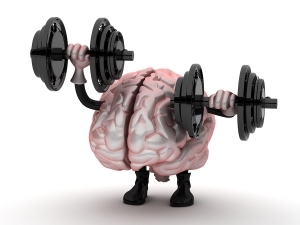 Doctors recommend that older individuals limit strength training to just twice a week. For seniors with hypertension and bad joints, doing aerobics in the water is a calming experience that relieves pain and lowers the potential for exercise-related blood pressure spikes. Seniors develop better balancing skills and the water-based resistance encourages lean muscle development. Start out by using water shoes to slowly saunter around the perimeter of the pool. Then, amp up the workout by doing arm lifts and downward pushes. Underwater squats and lungs can work out the legs. Almost 12 million seniors have something in common: they are delaying refilling prescriptions or skipping doses because they cost too much. A Walgreens survey found that 37 percent of Medicare Part D beneficiaries have daily concerns about their prescription drug costs, and 1-in-5 say they are cutting back on prescription use. In healthcare language this means that the seniors are non-compliant with their drug regimens. The problem becomes more significant when the senior goes to the healthcare provider. Seniors are routinely asked about their medication use and knowing that they might be chastised for not taking their medication properly, they are often less than forthcoming about their medication usage. By not complying with their home medication regimen and not responding affirmatively about their use, a healthcare provider will order more medications. Of greater concern is that partial medication dosing of multiple medications leads to more complications and drug interactions. By not following a physician’s orders when it comes to prescribed medications, they may be endangering their health. Medication non-compliance is one of the primary reasons that seniors are hospitalized. This non-compliance can be defined by taking either too much or too little of their medications. “While Medicare D was implemented to assist with the cost of medications, many seniors do not understand the concept of formularies. A formulary is the listing of medications that a pharmacy provider keeps in stock for sale. Medicare D plan coverage changes annually and varies by providers. Many expensive and non generic drugs are not included in basic formularies causing seniors to have hundreds of dollars in drug costs monthly,” says Mardy Chizek, RN, FNP, BSN, MBA, AAS and President of Charism Eldercare Services in Westmont, Illinois, who adds that this situation is supported by the survey that revealed that only 15 percent of respondents were able to identify the major components of the Medicare D prescription plans. Most troubling to Chizek is that the survey found that only half of respondents understood that co-pays for Part D prescriptions can vary by pharmacy; or that discounts can be achieved through preferred pharmacy networks. In addition, almost 30 percent don’t know that they can switch pharmacies at any time, believing incorrectly that it can only be done during Medicare’s Annual Election Period. Even beyond Medicare D coverage, many pharmaceutical companies will assist seniors with discounts on their medications. Every avenue for drug cost savings should be explored. Speak to the healthcare provider about less expensive alternatives and or samples of medication. Chizek encourages family members and caregivers to monitor prescription use of loved ones and ask questions to the healthcare team or eldercare experts to look for ways to ensure medication compliance while also advising on ways to lower costs. 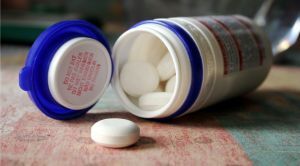 – For more information on controlling medication usage and costs, visit Charism Eldercare Services at www.charism.net.